Are you an adrenaline junkie? Love adventure and excitement? Then stay tuned, because I have just the thing for you! Recently I was able to join Safari Quads for a day filled with ATV fun. We climbed straight up mountains, drove through rivers, and discovered a beautiful waterfall. Safari Quads has been running ATV tours since 2003, making them the oldest company in Iceland. Packed with adrenaline and breathtaking views, this is a fantastic way to see some of the natural beauty of Iceland. 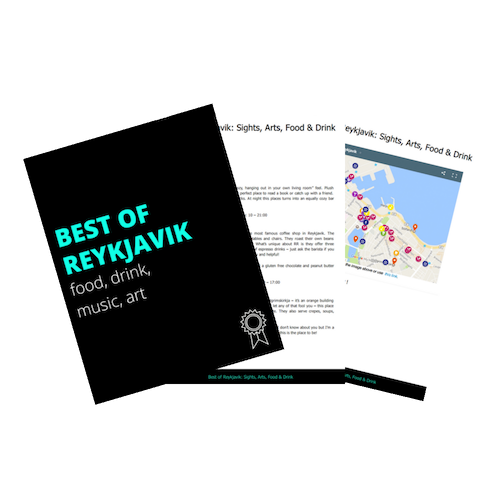 If you’re looking for a way to explore Iceland off the beaten path, then this is the tour for you! We arrived on site at 9am. The first thing I noticed was how well organized Safari Quads is. ATV’s are no doubt dirty business, but the bikes were lined up without a spot of mud on them. Our guide Thor introduced himself to me right away and gave us the gear for the ride. After we were all suited up, Thor took us outside for a safety demonstration. He made sure we were all very comfortable with the quads, going over the basics and how we would be driving on the trails. Even if you have never ridden quads before, don’t worry about a thing – it’s easy to pick up. I grew up riding 4-wheelers with my brothers, but I was excited for this tour! Exploring around the back country of Iceland is right up my alley. Somehow we managed to have absolutely perfect weather, which was a huge bonus. I can imagine riding quads is fun in any weather, but I always love a blue sky day! The first part of the ride goes through the small town of Mosfellsbær, but before you know it you’re smack dab in the middle of nature. We pass by the beautiful Lake Hafravatn where someone was out fly fishing. We stop at the foot of Mt. Esja to take in some great scenery. Next we start climbing, and all of a sudden we’re on the top of a mountain! The tour summits both Hafrafell & Úlfarsfell mountains, and the views over the city were incredible. Because it was so clear that day, we could see all the way to the ocean! To top off an already amazing tour, Thor made one more pit stop for a waterfall! Because no Icelandic adventure is complete without a waterfall. Helgufoss is a beautiful waterfall nestled at the base of a mountain in Mosfellsbær. It’s only about a 30 minute hike to get to, but with the ATV’s we drove right up to it! I was delighted with our ATV ride. We got to some amazing things, and the ride was a good balance between safety and adrenaline. This would be a great tour for someone who was only staying in Reykjavik or for a short time to see Icelandic nature. We were there with another couple that were on their honeymoon, and they said this tour was their favorite part of their whole trip in Iceland! Note, tours still go out if it’s raining (very common in Reykjavik). They provide rain gear on top of the overalls! Make sure your camera is charged, you will get some beautiful shots from the mountaintops! Riding with Safari Quads was so much fun! I love doing anything and everything I can to get outside and explore Iceland. This was a great way to see some places that take a lot longer to get to by foot! If you want to experience Iceland on another level, I can highly recommend their tour! **I received a free ATV tour from Safari Quads in exchange for writing a review on the blog. Collaborations like these are carefully selected to benefit my awesome readers, and opinions are always my own! Question: Do you love extreme adventures? Is an ATV tour on your Iceland itinerary? 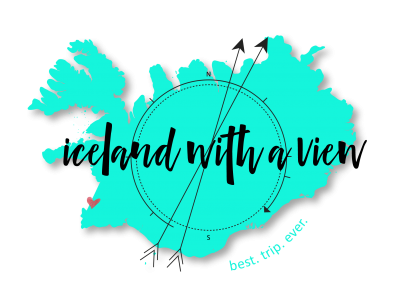 I’ll be in Iceland Sept 30th to Oct 6th and although I’ll only be in Reykjavik for 3 full days, I’ll definitely look into this tour, as I’m already looking to book the snowmobile tour as well! 🙂 Awesome post and great site! Love it! Definitely, this is such a fun way to explore around and get a nice dose of nature! End of September is a beautiful time to visit, you will love it! Definitely on my agenda when I visit!